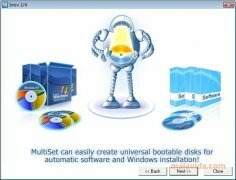 Almeza MultiSet allows the user to install an operating system or applications automatically on another computer without any need to carry out each process separately. Thanks to this utility you can install all your software on computers equipped with Almeza MultiSet without having to fill in the same form that is usually required for each installation, over and over again. With this utility you can save a lot of time. 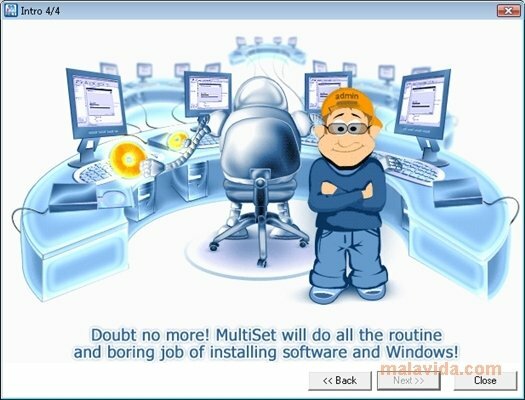 The automation of this process will give you a simple way to install or update contents on any computer. What's more, the software makes it possible to create your own customized installation discs with whatever content you deem necessary. You can also do this with a USB pendrive. The appearance of Almeza MultiSet is completely customizable, being simple and appealing for the user. Just as the developing company, this software has been used by a large amount of multinational companies that rely on its capabilities. Do as they do, include Almeza MultiSet among your utilities! The software can be tested for 30 days.